Home>New Songs>Fredo Santana Songs> Fredo Santana & Lil Reese Connect On Harry Fraud & TrapZillas "Not Like U"
It's been over eight months since the untimely passing of Fredo Santana. The rapper passed away in January but it was only revealed that he passed away from cardiovascular disease a few weeks a go. Since his passing, there hasn't been many posthumous releases from him and it's unsure if anyone from his camp has plans to drop a record of his unreleased music in the future. However, we did receive a music video for "Demons" a few months back. Today, Harry Fraud and TrapZillas dig in the vault to unleash "Not Like U" with Lil Reese and Fredo Santana. 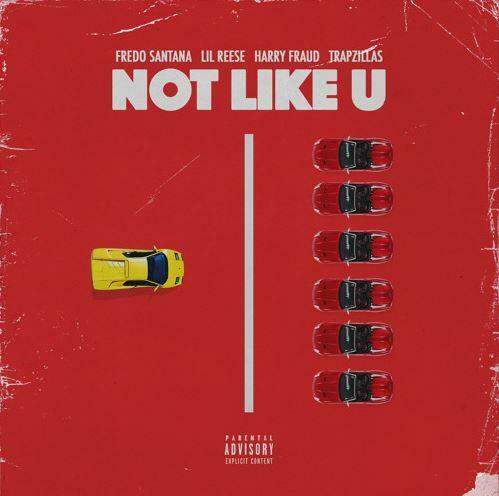 Lil Reese and Fredo Santana's song "Not Like U" has surfaced courtesy of Harry Fraud. The song was produced by Fraud and TrapZillas while Lil Reese and Fredo Santana hold down the vocals on the track. Fraud and Trapzillas bring their own style of production closer to Lil Reese and Fredo Santana's style while still maintaining their signature elements. Kembe X & Trent The HOOLiGAN Link Up On "Killlscope"
SONGS Fredo Santana & Lil Reese Connect On Harry Fraud & TrapZillas "Not Like U"